For Nexus 7, the jump from 16GB to 32GB costs only $50 more. Foe Nexus 10 (announced today) the jump from 16GB to 32GB costs $100 more. After all it is the same flash, so why the price difference? Because costs have nothing to do with pricing. 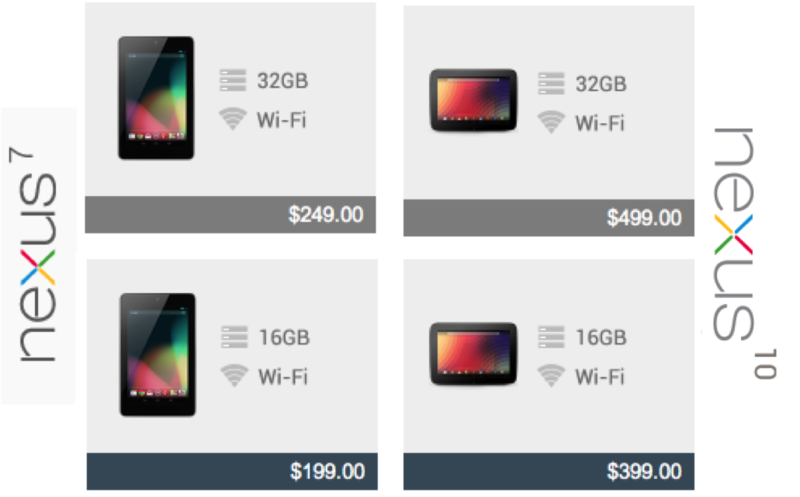 And Google knows, (perceived) value of additional 16GB flash is more to customers choosing nexus 10 than those choosing nexus 7 and is pricing accordingly. They also have higher reference price to work with compared to lower price point of Nexus 7. Have we seen this before, of course yes with Apple’s pricing.